Now Available for Purchase at the Store! 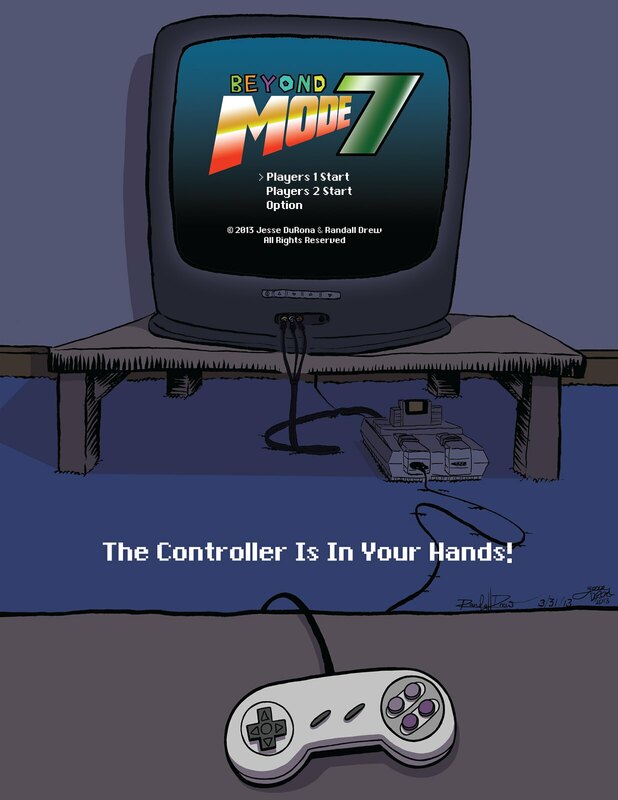 Beyond Mode 7 is an anthology of comics and illustrations celebrating the Super Nintendo Entertainment System from Nintendo! The second major player in the 90’s “Console War” it was one of the most prolifically supported systems of any generation and the number of memorable stories and characters that entered our lives through it’s tough grey plastic and circuit boards are countless! Beyond Mode 7 collects stories and art crafted by a wide variety of independent cartoonists from all over, all remembering fondly their time playing the SNES, at any time in their lives! From fan-works to auto-bio reminiscing to secrets and tricks of old, Beyond Mode 7 has a little something for the gamer and comic fan in us all! The controller is in your hands, player! Thanks to all our Kickstarter backers!!! The campaign was a huge success! Below you can watch our silly promotional video that accompanied the campaign.